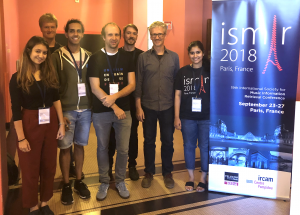 Current and previous members of MIRG met at ISMIR 2018, presenting several papers. Former MIRG members are now working for Jukedeck, Spotify and Tido. 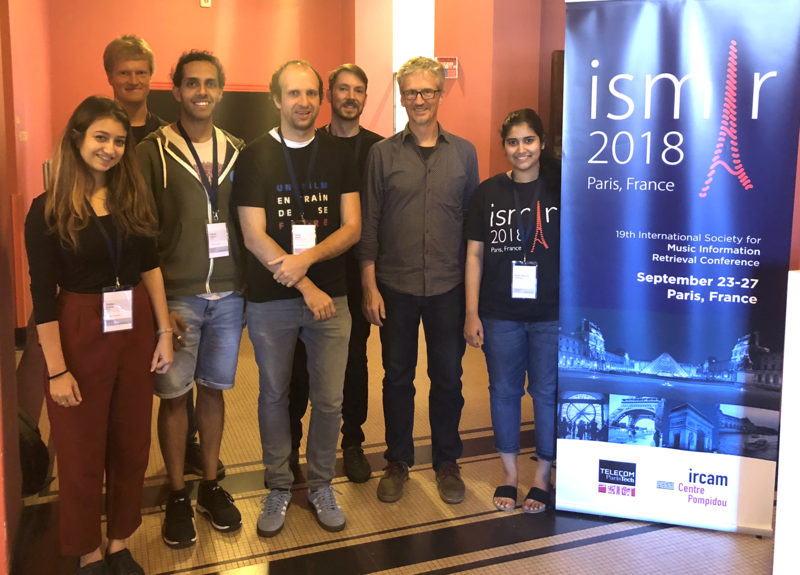 From left to right: Shahar, Andreas (Spotify), Srikanth (Jukedeck), Daniel (Tido, City UoL), Reinier (Jukedeck), Tillman, Radha (City).